If you’re looking for a story of redemption in the video game industry, look no further than Layers of Fear, the newest game from Polish studio Bloober Team. If that developer sounds vaguely familiar, you are likely one of the unfortunate folks who experienced Basement Crawl, the disastrous Bomberman clone released on PlayStation 4 in 2014. 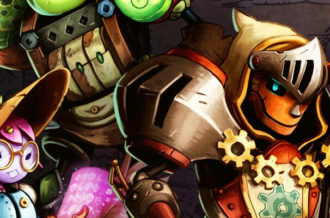 After taking the better part of a year remaking what many considered at the time to be the worst game on Sony’s newest console, Bloober Team released Brawl, which was closer to the original Basement Crawl vision, but still left many underwhelmed thanks to a lingering sense of resentment and a number of technical issues. It was the type of situation that could murder a game developer, namely because Basement Crawl was so bad that Bloober Team offered to give free copies of Brawl to those who spent their hard earned cash on the original title (which is not insignificant considering the salary costs of a year of development). 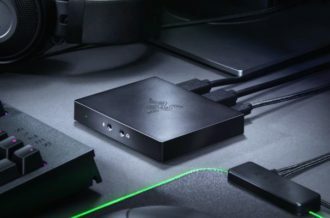 Considering the state of the PlayStation 4 library in early 2014, less than one year after its launch, the Basement Crawl fiasco was an ugly mess; a mess that, until now, has defined public opinion on Bloober Team. Fast forward to August of 2015, when Bloober Team’s newest title, Layers of Fear launches on Steam Early Access. 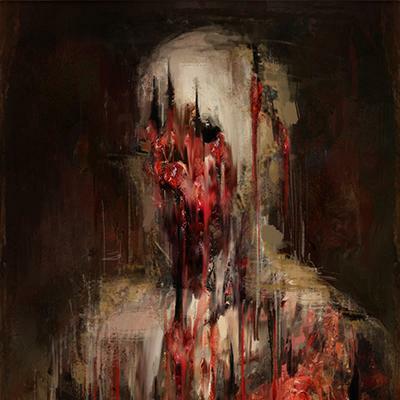 Rather than seeing overwhelming disgust coming its way thanks to the studio’s previous effort, Layers of Fear‘s initial builds received praise far and wide, with 97% of its 2,821 Steam reviews rating as positive and a host of positive preview coverage flooding the Internet. Considering that P.T. 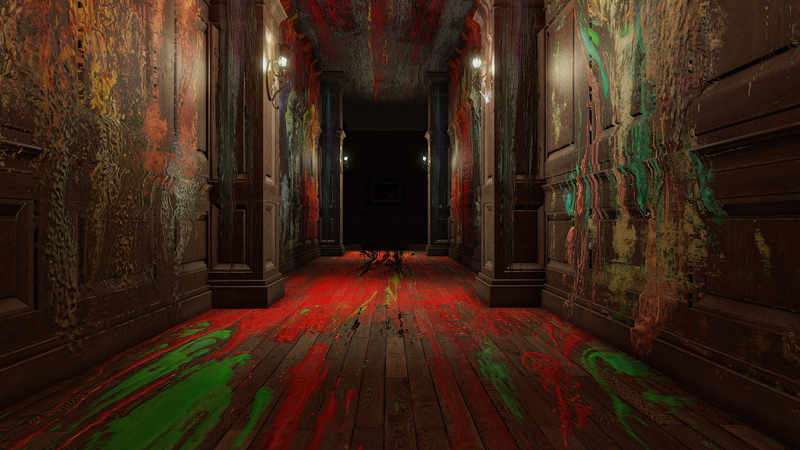 had been completely erased from the PlayStation Store and the libraries of everyone who had downloaded and uninstalled it, Layers of Fear gave the gaming community the type of psychedelic first-person experience that it was craving. The idea that rotating the camera can cause the environment to shift is certainly not a new one, but it’s a gimmick that can create some downright intense moments of terror when done correctly. Unfortunately for Layers of Fear, its style of horror begins to wear thin after about ninety minutes, which, coincidentally, was roughly how long the Early Access version was. Once players begin to anticipate its frequent jump scares, its troubling narrative about an abusive alcoholic artist attempting to paint a masterpiece is not strong enough to carry the remainder of the experience. Layers of Fear is a redemption story considering the aforementioned Basement Crawl situation, but its level of quality as a complete package doesn’t live up to the high expectations its Early Access release set for its audience. Layers of Fear begins with the player walking into an ominous old-fashioned mansion, which, although cliche, seems to work perfectly for exploration-heavy horror experiences. You’re tasked with wandering around this home and uncovering the horrifying tale of insanity and abuse that lies within its walls. If this brief description leads you to wonder whether Layers of Fear is a first-person walkabout in the style of less horrifying genre counterparts like Firewatch and Everybody’s Gone to the Rapture, you’re correct. 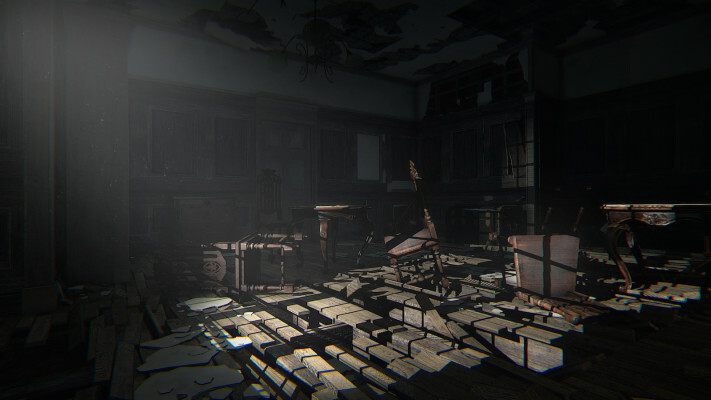 While there is light interactivity in terms of picking up a select number of items, finding notes and solving a few maddening “find the combination” puzzles, the vast majority of the gameplay is simply walking around a place that initially has the potential to scare the living daylight out of you. With that said, this isn’t necessarily a bad thing considering Layers of Fear is at its scariest when it warps the world around you. Being that the focal point of its narrative is an alcoholic painter who is rapidly losing his mind, the doors to grotesque imagery consisting of distorted art and hallucinations, the latter likely caused by some combination of substance abuse, mental illness and possibly delirium tremens are flung wide open. As players make their way through this rapidly shifting maze of a home, they’ll stumble upon the disturbing items that the main character used to attempt to create his masterpiece, as well as all of the depressing effects this artistic quest had on his wife and child. Though the narrative elements here might seem exceptionally strong, it’s hard not to wonder whether this is a result of the concept itself being powerful, rather than the actual execution or content of the story. When you stop and consider the stigmas and saddening feelings that abusive relationships, bad parenting, addiction and mental illness carry, it’s natural that this would have a strong effect on your mood. This leads to a very important question: does Layers of Fear‘s story actually have power behind it, or does the mere presence of difficult themes disturb players? While the first half of this three to four hour campaign might lead you to believe the former, the back half of the story, and especially its ending, show the flaws in the narrative design of Layers of Fear. Each chapter leads players through a series of rapidly shifting rooms and hallways that ultimately culminate in the discovery of some horrifying element that the artist used to create his so called masterpiece. Initially, when there is a level of mystery left to the proceedings, the sense of dread and unknown has the potential to drive players just as crazy as the painter himself. However, the constant jump scares featured in Layers of Fear begin to grow predictable, reducing the level of horror that likely drove the player to this title in the first place. Once that happens, its narrative begins to feel more prevalent, which winds up highlighting its actual underwhelming nature. If you’re hoping for some sort of major revelation or shocking twist, you’ll probably want to look elsewhere. Though the narrative design as a whole isn’t as strong as the inherent power of the themes it touches upon, the initial sense of terror here is the main draw. 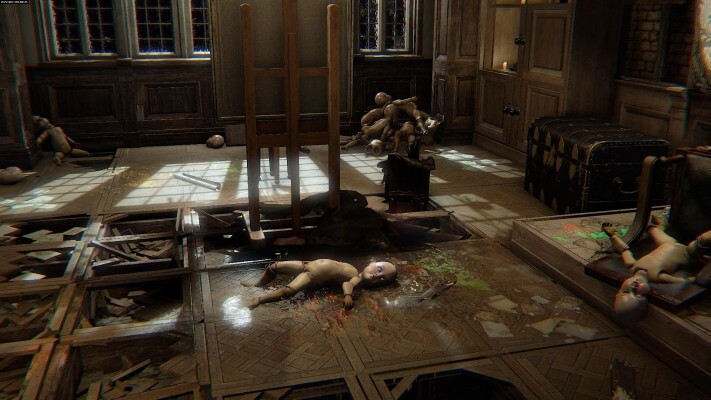 Because rotating the camera frequently changes the environment, Layers of Fear is extremely effective in its use of the unexpected. Much like the aforementioned P.T., Layers of Fear features a grotesque ghoulish woman wandering the hallways in this hallucinatory household, and her initial appearance is hands down the scariest part of the entire campaign. Though every time she appears and seemingly kills you later on is less and less horrifying, that very first experience with this mysterious being is by far the most horrifying moment here. Add this to disappearing doors, sudden painting distortions and brand new rooms, and Layers of Fear‘s core mechanic is so initially intense that actually booting it up becomes an exercise in confidence for wimps like myself. However, once you pass that initial ninety minutes, this gimmick begins to wear thin. Whether this is a function of shifting environments only being effective in very small doses (like in P.T. or Bloober Team’s initial Early Access release), or Layers of Fear simply falling short in its back half is perhaps the grandest mystery of them all. My personal sensitivity to jump scares and horror feel extremely relevant in a discussion of how Layers of Fear‘s sense of dread fades halfway through. After the first thirty minutes, it became impossible to play with a mouse and keyboard because every sudden noise made me fling my mouse clean off of my mousepad. Sadly, even the wimpiest gamers likely won’t be frightened the entire way through. Because this entire linear experience consists of opening doors and/or rotating the camera to progress, it becomes exceptionally easy to predict when a jump scare is going to occur. If you are entering a new room or hallway, chances are something is going to shift in a way designed to give you a fright. The same goes for rooms in which players are supposed to feel trapped, such as the bedroom in the photo above. Rotating the camera is these situations is often the only way to progress, and this knowledge lends itself to the anticipation of a fright. The shift in thought process from pure intensity and dread to that of, “Okay, let’s get the scares out of the way so I can progress,” eliminates and sense of fear, and thus, decreases the effectiveness of the entire experience. Considering the entire draw here is being frightened out of your pants, the back half of Layers of Fear falls a bit flat. Unfortunately, a great deal of the audience has already experienced the best parts of Layers of Fear in its Early Access iteration. 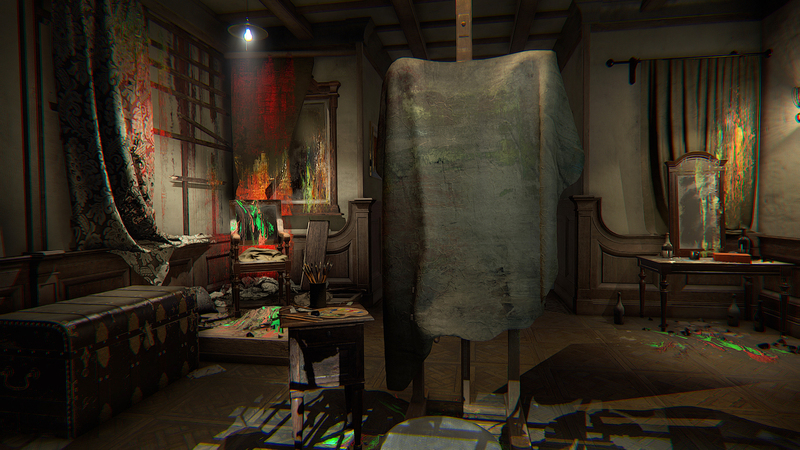 With all of that said, Layers of Fear succeeds from a visual perspective. 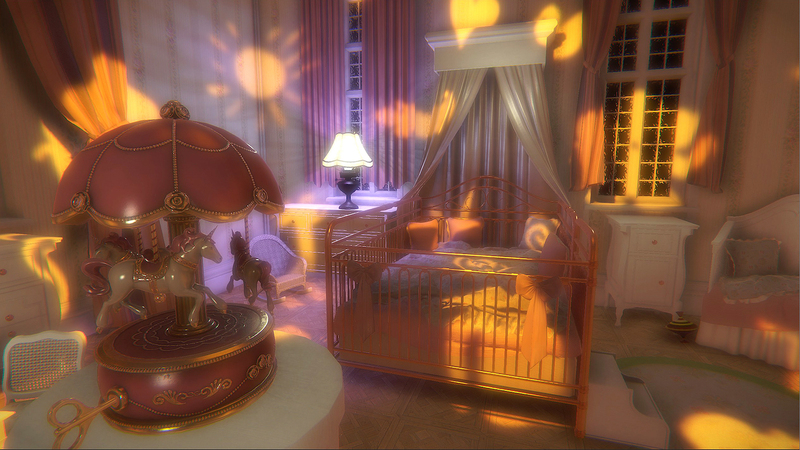 Though it lacks that uncanny valley obliterating realism that made P.T. so effective, Bloober Team should be applauded for its art design here. Because the entire course of the campaign is highlighted by eye-melting distortion (including one sequence that is straight-up unplayable to those sensitive to flashing lights), the result is a shocking array of artistic lunacy. From paintings suddenly shifting into disgusting depictions of insanity to incredible displays of light manipulation, Layers of Fear is one of the better looking games of the past few months. The only glaring flaw here from a visual perspective is the frequent use of complete darkness, which slows down progression arbitrarily. Most players will likely begin their journey on the default brightness, which results in completely losing any sense of direction far too often. Cranking up the brightness all the way somewhat alleviates this issue, but this manages to be more of an annoyance than an effective use of darkness. Though Layers of Fear sports some incredible art design and a haunting selection of music, it’s not without its technical problems. The very final area, which actually contains a journal loaded with illustrated portraits of the development team (this is actually an initial set of credits before the standard scrolling screen of names) stutters massively, even on rig with an NVIDIA GTX 970 and sixteen gigabytes of RAM. While Bloober Team made sure to note that the final build is still a title that’s in active development, seeing the final sequence perform so poorly right before launch is certainly troubling. What’s more, the head-bob effect, which players will have the ability to turn off, seems to cause the entire screen to vibrate whenever players walk or move the camera, which breaks the sense of immersion necessary for Layers of Fear to succeed. It’s also worth noting that this strange effect is present when using a mouse and keyboard, Xbox One controller or the Steam Controller. 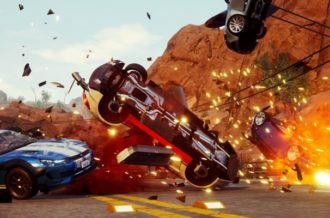 It’s very likely that we will see some sort of post-release patch that addresses these issues, but it is a troubling sign for a studio that has struggled with maintaining a constant framerate in its last three titles. Layers of Fear almost feels like two different games smashed together to make up a single experience. Its first half is brutally chilling, deeply frightening and an overall success. 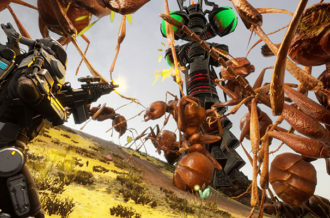 Its unique use of perspective and camera manipulation, though derivative, evokes a sense of dread so powerful that it becomes frightening to even turn on your gaming device to play it. It quickly becomes apparent about halfway through, however, that its power lies in a reliance on simple jump scares and the impact of themes that are disturbing in any context. Bloober Team should feel proud that it was able to turn its fortunes around with Layers of Fear and this release is something to build upon, but it manages to miss the mark just enough to feel somewhat forgettable. 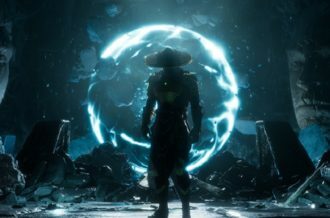 Those who have experienced the Early Access release have likely seen all there is to see here, as its ending feels too flat to create a true sense of endearment. If you’re looking for something to scare you for an hour or two on a dark night, then this is a title you should consider picking up. If you’re looking for the next great horror title, however, your efforts will be better served elsewhere.